The Torrey Team has sold nearly 500 homes in the prestigious Northgate region of Walnut Creek -that’s tops for all Realtors. While the Torreys have moved many folks out of the area due to job transfers, they have moved many of these same clients back to the region – a testament to the popularity and allure of Northgate. Pete and Jean Torrey loved the area from the moment they started in the real estate business in 1977, and chose to raise their son Zack and daughter Andrea in Northgate, a region in eastern Walnut Creek in the Mt. Diablo foothills. The area takes its name, “Northgate,” from the northern entry to Mt. Diablo State Park, which is easily accessible and appreciated by local residents. The common thread among “Northgaters” is their interest in good schools, safe neighborhoods and family values. Most of the homes in Northgate were built in the 1950s, 60s and 70s by Scott and Ball, Permabuilt, Plambeck, Falendar, and Eichler. Harold Smith followed by Standard Pacific built the upscale Rancho Paraiso development in the 1990s. The climate is very appealing as the area gets more than 300 days a year of sunshine with an average yearly temperature of 60 degrees. Residents love the warm days and cool evenings which allow for outdoor activities year round. People from all over the globe have been attracted by the life-style and great locale near shopping, commute routes, BART, top-rated schools, hiking/biking trails, swim, tennis and golf clubs that are minutes away. Through the years The Torrey Team has stayed involved in neighborhood activities such as sponsoring its annual Northgate Garage where more than 100 families take part. The Torreys have also donated their time and money to local school programs. Zack Torrey, a 1996 Northgate High grad, has been an assistant varsity football coach at the school for 5+ years. 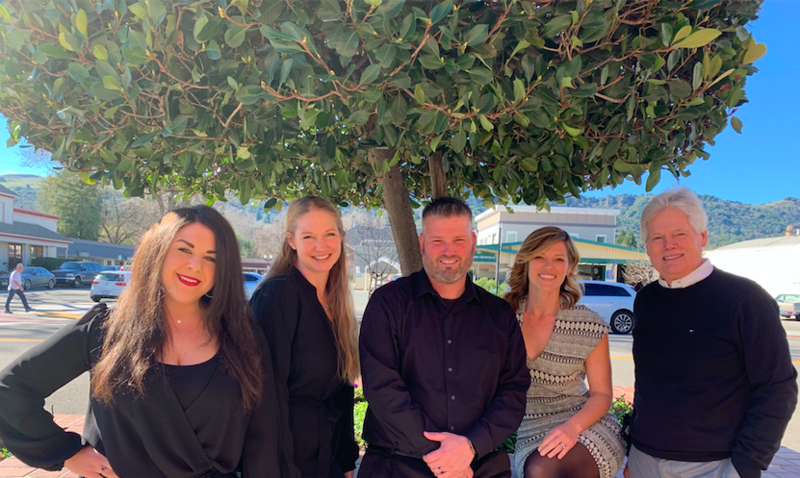 For these reasons, and many more to numerous to mention, the Torrey Team firmly believes that Northgate is the “best buy in Bay Area Real Estate” and that is why they have specialized in the area for 40 years!! We recently sold our home in the Northgate neighborhood and the Torrey Team handled the transaction for us. We could not have asked for more experienced and professional representation, these guys are great. I will not hesitate to use them in the future when we buy again in the area. If I could give them 6 stars I would, because they deserve it... Thanks Torrey Team! I had some friends at my church recommend the multi-generational Torrey Team to sell my house, and I am really glad I did. They combine new age technology for marketing and negotiation with 38 years of experience and savvy. Zack knew just what to emphasize to attract 30 and 40 year old buyers, and how to respond to them when the contracts came in. When the process seemed to be moving too fast, Pete was there to slow down and answer the questions. He also understood the stress I was going through as a senior selling my home of 40 years, where I had raised my family and had so many wonderful memories. On all accounts the Torrey's delivered as advertised and I would give them the highest possible marks!